Israeli settlers opened fire at Palestinians northwest of Ramallah late Sunday in the second such incident in hours, locals said. 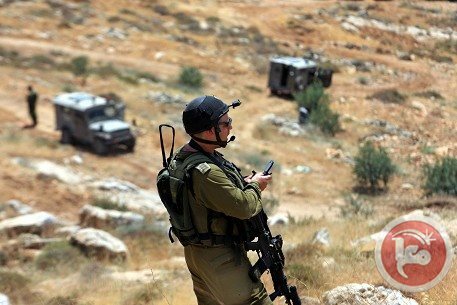 Two settlers shot at nine men who were working in a quarry near the village of al-Mazraa al-Gharbiya, without causing injuries, the workers told Ma'an. They said they noticed the settlers sneaking into the quarry and fled the scene as settlers opened fire with an automatic rifle. After being chased for nearly two miles, the workers reached al-Mazraa al-Gharabiya unscathed, they told Ma'an. The Palestinians identified themselves as Ismail al-Rajabi, 25, Momen Idriss, 24, Anas Idriss, 18, Yacoub Idriss, 20, Bilal Idriss, 20, Ahmad Jaber, 27, Wael al-Shalaldeh, 32, Mohammad Jaber, 23, and 10-year-old Abd al-Rahman Jaber. Earlier, a Ma'an reporter said that Israeli settlers opened fire at Palestinians in al-Bireh near Ramallah, injuring one as mourners gathered for the funeral of Muhammad Tarifi. 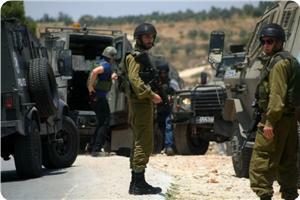 Tarifi was one of two Palestinians killed by Israeli forces early Sunday. Two Israeli settlers tried on Sunday evening to kill nine Palestinian citizens from Hebron including a child in Ramallah near Nahalin settlement. 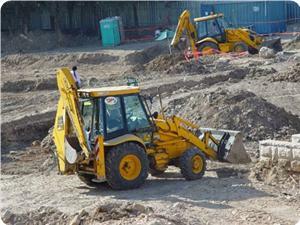 worker Ismail al-Rajbi said that the settlers attacked them while working inside a quarry near the western farm. One of them pointed his weapon at us. “ We went to another quarry but the settlers followed us until we reached the town.” He added. None of the workers were wounded. Living in settlements built illegally near Palestinian areas in the West Bank, Israeli settlers, protected by Israeli forces, routinely attack Palestinian citizens and homes killing some and causing damages to properties. Rachelle Friesen is a Palestine solidarity activist based in Canada. More than 300 Palestinians have been arrested and detained by the Israeli military since last Thursday -- including over 50 that were released in the Gilad Shalit deal -- in clear violation of the agreement. 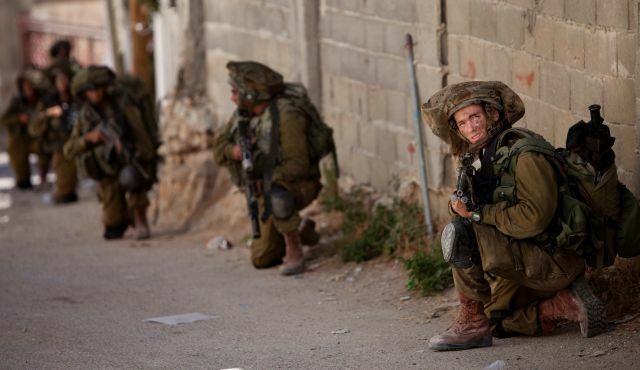 Over 750 homes in the Hebron area alone have been "searched" and invaded. On Thursday night, Birzeit University was targeted and searched. In addition, one might question why in the media the youth who were "illegal" Israeli settlers are called "kidnapped" in their disappearance, while Palestinians who are taken are referred to as "arrested" -- but that is a discussion for another time. This past year peace negotiations fell through as Israel walked away from the table when Hamas and Fatah signed a unity agreement. Although Israel claims that the issue was that they cannot "negotiate" with a terrorist organization, their continual construction of illegal settlements in the West Bank reveals their commitment to peace and international law. Settlement expansion actually reached new records in 2013 and by March 2014 the rate of expansion was already surpassing 2013. By backing the deal, Hamas was no longer a "militant" group outside the PA seeking the destruction of Israel. The siege on Gaza was previously "justified" by Israel because of Hamas' rule in Gaza, yet with this new government committed to nonviolence and control over all Palestinian territory, the siege could no longer be justified to the broader international community. Israel's public image has taken a beating the past few months as the international community is starting to become aware of the apartheid system and colonization of Palestine. These recent kidnappings have been an opportunity to shift its image again, from aggressor back to victim. Yet while the Israel cries out victim while sending hundreds, if not thousands, of soldiers to invade homes, one can only speculate what the response is actually about. Firstly, this action could be an attempt to force a divide within the ranks of the newly-formed government. 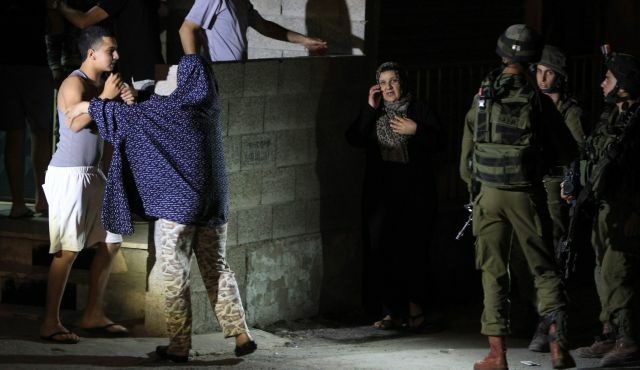 Through the raids in the West Bank, Israel has repeatedly targeted homes and building of Hamas and accused Hamas of being behind the abductions, even though there is no proof as to who is actually behind the disappearances. With Hamas members being targeted, it could weaken the newly-formed government, thus causing a divide that could once again delegitimize the PA at the international level and "justify" the siege on Gaza. 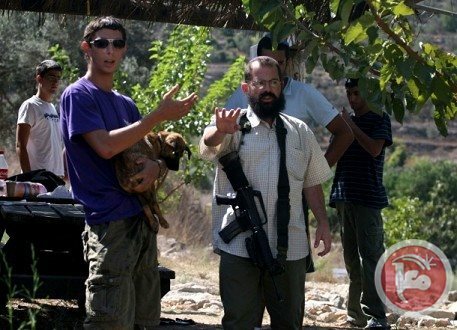 A group of armed Israeli settlers Saturday evening tried to storm Beit Ummar town, north of the West Bank city of Hebron. More than 20 armed settlers tried to shut down the historic Jerusalem-Hebron Road, spokesperson of the Popular Committee against the Separation Wall and Settlement in Beit Ummar, Mohammad Awad, said.
" Israeli forces prevented the Palestinian activists from taking photos and seized their IDs" Awad added. Teams of firemen and police specialized in rescue operations were in the Hebron area on Saturday searching wells, reservoirs, and caves for three missing Israeli teens, Israeli media reported. The search was ongoing inside Hebron city itself, where a 14-year-old Palestinian boy was killed on Friday by the army as well as in Ramallah, where the army said it had raided the premises of the Hamas television channel. Police said three fire trucks and an ATV rescue unit were present in the Hebron area where they were on stand-by, Ynet reported. Israeli officials have announced no major breakthroughs throughout the search for the teens, who disappeared from an area near the Gush Etzion settlement on June 12. 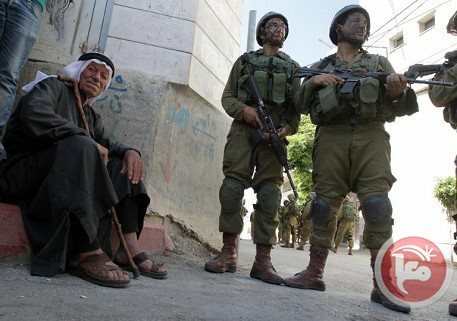 Around 370 Palestinians have been detained just in the past week as part of an arrest campaign carried out by Israel with Palestinian Authority coordination. Some two-thirds of those detained in recent days have been members of the Palestinian faction Hamas, which Israel accuses of being behind the alleged kidnapping of the youths. Separately, a rocket was fired from the Gaza Strip into southern Israel, striking near Ashkelon city without causing any casualties, the army said. Palestinian security expert Mahmoud al-Ajrami stated that Israel's army and security agencies failed so far to get any information that might reveal the fate of the three missing settlers after ten days of their disappearance. Al-Ajrami told the PIC that Israeli senior military officials’ statements reflected Israel's failure to know the circumstances of the incident. Despite its security coordination with the Palestinian authority security forces, Israel failed to find the three missing soldiers who were kidnapped in the most fortified settlement, he pointed out. The difficult geographical features in some areas in occupied West Bank would complicate the mission for Israeli forces, despite Israeli allegations of foiling 25 previous attempts to kidnap Israeli soldiers, al-Ajrami said. If the kidnap operation was carried out by the Palestinian resistance, it means that a new breach occurred in Israel's security system. The Israeli ambassador to Italy on Thursday attacked the European Union for supporting the Palestinian government of national unity in light of the disappearance of three Israeli youths last week, accusing them of supporting "kidnapping." Ambassador Naor Gilon was quoted by Israeli media sources as saying that "Europe backs Hamas' government and the kidnapping of children and Israeli civilians." Naor Gilon said in a statement published by several Italian media that "the European Union is ignoring the conditions it placed on itself in recognizing Hamas." 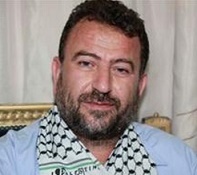 "While the European Union acknowledges the Palestinian national unity government that Hamas is a part of, it gives it international legitimacy even though a terrorist organization is part of it," he was quoted by Israeli news site Ynet as saying.. The recent wave of arrests, attacks, killings and total closure of large parts of the West Bank following the disappearance of three Israeli settlers is a clear form of collective punishment against the Palestinian people. Since the disappearance of the three settlers on Thursday 12 June, Israeli forces in Jalazoun refugee camp, north of Ramallah, have killed a Palestinian man, Ahmad Sabarin, 20, and have arrested approximately 200 Palestinians across the West Bank. In total, eight members of the Palestinian Legislative Council (PLC) have been arrested since 12 June, including the head of the PLC. One PLC member has since been released. On 15 June three people were injured, including an eight-year old boy, when the Israeli military blew up the entrance of a house in Hebron during an arrest operation. In addition, on 16 June six Palestinian were injured at Qalandiya checkpoint near Ramallah, including Yazan Yacoub, 17, who was, according to reports, shot in the chest and abdomen with a live bullet, critically wounding him. As the Occupying Power, Israel is obligated to carry out its search for the missing settlers in line with its obligations under international humanitarian law (IHL) and international human rights law (IHRL). IHRL imposes an absolute obligation on Israel to respect the right to life of Palestinians by ensuring that the use of force and firearms by law enforcement officials is carried out in a manner that minimises damage and injury and respects and preserves human life. IHRL further prohibits arbitrary or unlawful interference with privacy, family, home and correspondence and affords all persons the right to liberty and security of person, which demands a legal basis for each and every individual arrest. Furthermore, all persons that are arrested must be treated with humanity and respect for their inherent dignity. Although some of the measures carried out by the Israeli forces in large parts of the West Bank may have a link to the investigation into the disappearances, the methods employed are indiscriminate in their nature and are undermining the fundamental rights of the persons concerned. Furthermore, these restrictive measures are being carried out based on mere speculation regarding both the identity of those responsible for the disappearances and their location. As such, these measures indicate Israel’s intention to impose punitive measures against large portions of the Palestinian population in violation of Article 33 of the Fourth Geneva Convention prohibiting reprisals against protected persons and their property, as well as collective punishment. Furthermore, Israeli government threats to expel Hamas personnel from the West Bank to the Gaza Strip based on allegations that the organisation is responsible for the settlers’ disappearances not only amounts to indiscriminate collective punishment but also violates Article 49 of the Fourth Geneva Convention, which prohibits forcible transfers and deportations of protected persons in occupied territory. The violation of this provision amounts to a grave breach of the Geneva Conventions and as such may constitute a war crime under Article 8(2)(a)(vii) of the Rome Statute of the International Criminal Court. The Palestinian Human Rights Organisations Council (PHROC) condemns Israel’s disregard for its obligations under international law and its use of reprisals against the Palestinian population in carrying out its investigations into the disappeared youths. PHROC calls upon High Contracting Parties to the Geneva Conventions to uphold their obligation to ensure respect for the Conventions as established under Common Article 1, by taking concrete measures to pressure Israel to halt its violations of international law. PHROC further condemns the Israeli government-initiated law proposal to permit force-feeding of hunger strikers. Currently, over 125 Palestinian detainees and prisoners have been on hunger strike in protest against Israel’s illegal practice of Administrative Detention. Force feeding is defined as torture by the World Medical Association and has been condemned by the United Nations (UN), including by the UN Special Rapporteur on Torture. As such, PHROC calls upon the international community to condemn the law publicly and to urge the Israeli government to withdraw it. Moreover, PHROC calls on Israel to heed to the demands of the hunger strikers by bringing its illegal practice of administrative detention to an immediate end. Human life only refers to ours; concern for it and its liberty only matters when it’s us. 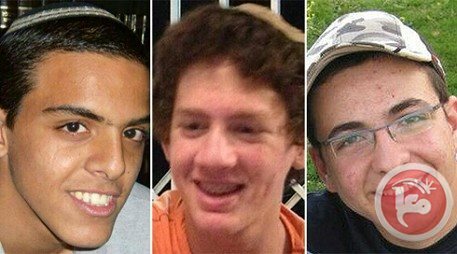 Only we are permitted to be our “Brother’s Keeper,” as the IDF is calling the operation to find the three kidnapped teens. 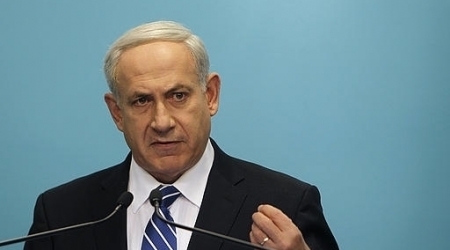 Only Israel is permitted to carry out illegal, immoral operations. Only it is permitted to be sanctimonious, to be shocked and to shout from the rooftops when others do the same thing to Israel. Only Israel is permitted to take hostages. Recall, for example, the 1989 capture of Sheikh Abd al-Karim Obeid, in an operation that was no less of a war crime than the abduction of three yeshiva students in the West Bank. In that operation, Israel kidnapped 21 Lebanese nationals to serve as “bargaining chips” it hoped would lead to the release of the missing Israel Air Force navigator Ron Arad. In addition to Obeid and Mustafa Dirani, head of security for Lebanon’s Amal militia, 19 other young men were abducted, including two 15-year-old boys and one man with severe developmental disabilities. They had no idea who Ron Arad was, and they languished in prison for years. When the elite special-operations force Sayeret Matkal kidnapped Obeid, it also killed a neighbor who dared to approach his home. An extra-large sack was tailor-made for the outsized Obeid. This was an abduction for the purposes of bargaining, just as that of the three West Bank teens may have been. But Israel did it, and therefore it was legitimate. Almost no one protested, the world wasn’t asked to denounce it and no one thought to define Israel as a “vicious terror organization,” as GOC Central Command Nitzan Alon called Hamas on Tuesday, declaiming his remarks like a bar-mitzvah boy, as thousands of his soldiers made war in the West Bank. But in racism, as in racism, to paraphrase a maxim: Human life only refers to ours, concern for it and its liberty only matters when it’s us; only we are permitted to be our “Brother’s Keeper,” as the Israel Defense Forces is calling its operation in English. Only attempt to dare to say that Palestinians may use violent resistance against the occupation, even in accordance with international law, and you will immediately be tagged as enemies, heretics and traitors who must be incarcerated, as happened to MK Haneen Zoabi, who said what every Israeli said at the time about the abductions of the Lebanese. Zoabi erred when she said the kidnappers aren’t terrorists; they committed an act of terror, much more limited than Israel’s acts of terror. One must hope that the teens are alive, fear for their safety and pray that they are released safe and sound, but what is happening in the meantime in distant Israel is far from its “finest hour;” this is one of Israel’s ugliest hours. All the seeds of ultra-nationalism and messianism that have been planted over the past several years are germinating now and blooming in the flower beds of rot. All of the Israeli hatreds have reared their heads in the wake of the kidnapping of three yeshiva students whose place of learning is in the heart of the occupied territory. All of the destructiveness and the intolerance for other views, all of the unity and the falling into rank in Israel have now assembled for the biggest display of ultra-nationalism ever. All the seeds of religiosity have sprouted into a mass prayer service led by the television broadcasters, every single last one of which has volunteered for propaganda duty. 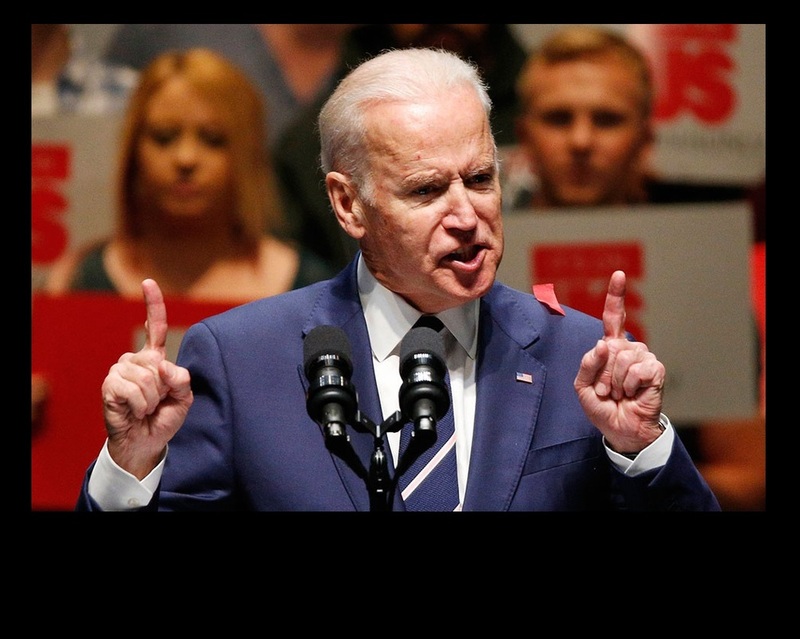 No one questions the mass arrests, the re-imprisonment of the Palestinians who were freed in the Gilad Shalit exchange deal, the arrests of members of the Palestinian parliament, the deportations to the Gaza Strip and the warmongering. Anyone who does has sealed his own fate. All of this is permitted to Israel, only to Israel. The immediate victims of the “finest hour” are the wretched families of the abducted teens and tens of thousands of Palestinians. But after this affair ends, the light will rise on a new, even darker Israel. The US ambassador to Israel visited the family of Naftali Frenkel, one of three missing Israeli teenagers who is an American-Israeli dual citizen, Israeli media reported. Dan Shapiro “offered the strong support of the US government” and his “own support in all the efforts” to bring the three boys back, reports said. 45 extremist settlers of Talmudic institutions stormed al-Aqsa on Thursday led by Jewish Rabbi Yehuda Glick. 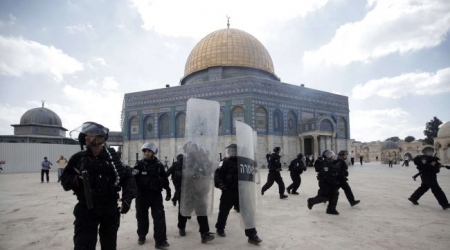 Backed by Israeli police, the settlers stormed the mosque from al- Maghareba Gate and toured in the courtyards. The director of media at Aqsa Foundation for Waqf and Heritage Mahmoud Abu al-Atta said that 45 Israeli students stormed al-Aqsa in groups. Muslim worshipers and Students were in the mosque when the settlers organized tours and Talmudic Rituals inside, he pointed out. Abu al-Atta confirmed that the Israeli police tightened their measures at the mosque gates and scrutinized the identity cards of Palestinian worshipers and students. "Abbas has to rescind the reconciliation agreement to prove his sincerity," Israeli Prime minister's office announced Thursday following Abbas statement. The office also demanded Abbas to cooperate with Israel to bring the settlers back. Israeli army have stormed Palestinian cities and towns, raided more than 700 houses, and arrested 300 citizens in hunt for three settlers who were missed a week ago in the West Bank city of Hebron. Yet, no clear evidence the three settlers were abducted as Israel claimed. 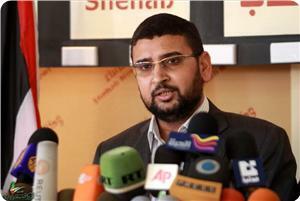 Sami Abu Zuhri, a Hamas spokesman, said that Israel was fabricating more lies against his Movement. The spokesman said in a terse statement on Wednesday night that Israeli claims that political bureau chairman of Hamas Khaled Mishaal had issued orders for the kidnap of Israeli soldiers was part of the “Zionist campaign of lies and deceit”. He said that the statements fell in line with Israeli attempts to liquidate his Movement and to blur the issue of the administrative detainees’ hunger strike. Allegations against Hamas political bureau chief Khaled Mashaal are continuation of Israeli series of lies, Hamas said. 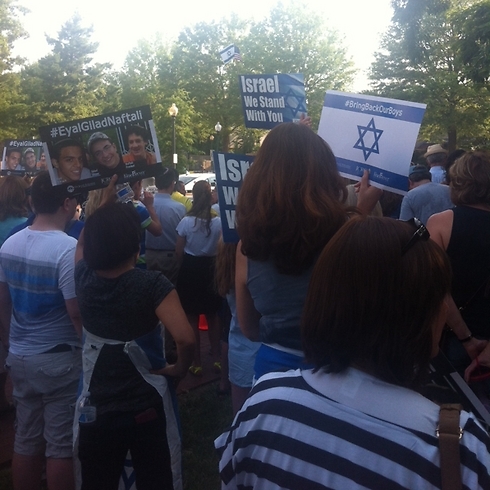 The movement denied that Meshaal gave anybody instructions to kidnap settlers. The allegations are aimed to justify the crackdown of Hamas the West Bank and to distract world attention from the hunger strike declared by administrative detainees since last April, 24, Hamas said. An officer at the Israeli army said that Meshaal's speech last month was a clear hint for groups in the West Bank to kidnap Israelis.